My Ruin is a metal band from Los Angeles. The members are Tairrie B and her husband Mick Murphy. 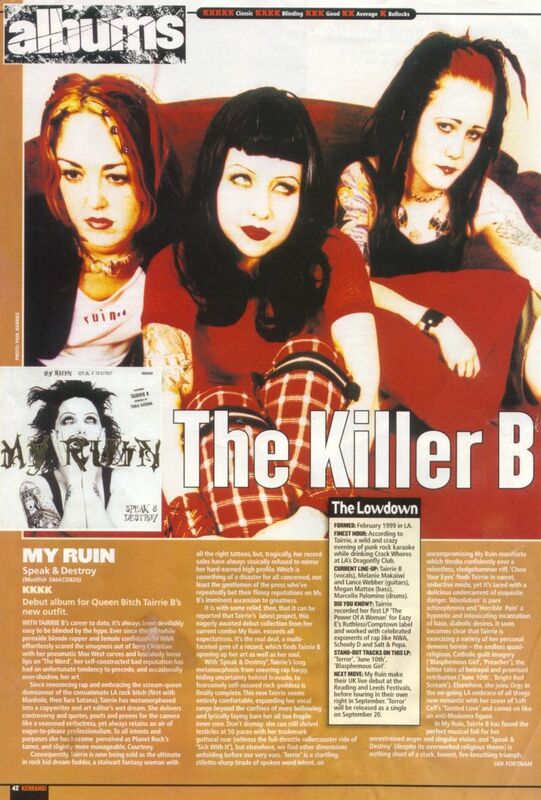 My Ruin was started by Tairrie B in February 1999. Speak And Destroy was released on 23rd August 1999. Kerrang! gave the album a good review. In 2000 the band's second album A Prayer Under Pressure of Violent Anguish was released. The band's third album was released on 23 October 2003. ↑ "Wayback Machine". web.archive.org. 21 August 2001.